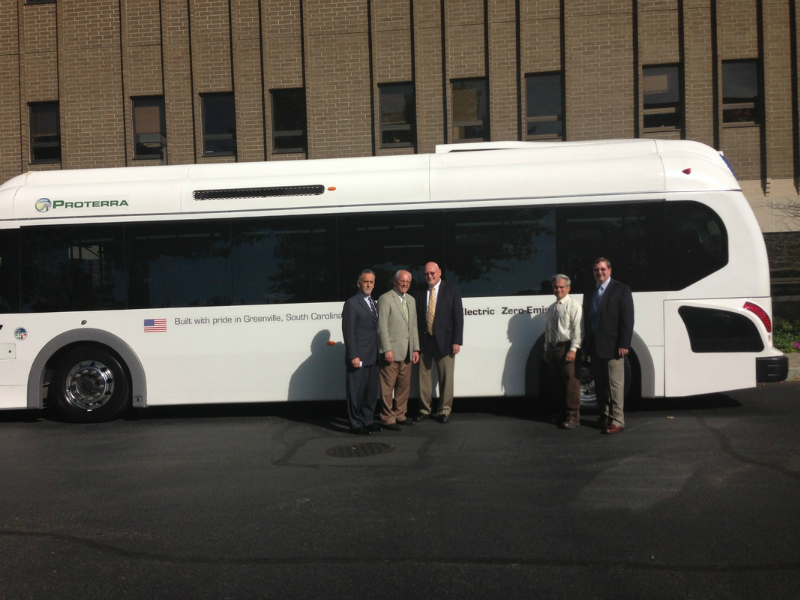 On August 6, 2013 Dale Hill and Mike Hennessy from Proterra visited the CDCC/CDTC offices with their EcoRide BE35 all-electric 35-foot bus. 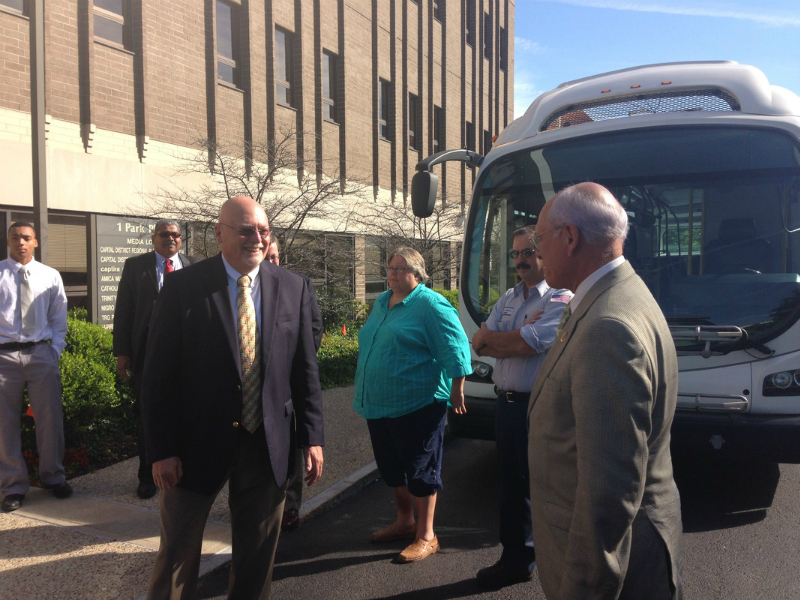 Many members of the Capital District Clean Communities came to view the bus, as well as Congressman Paul Tonko (NY-20). 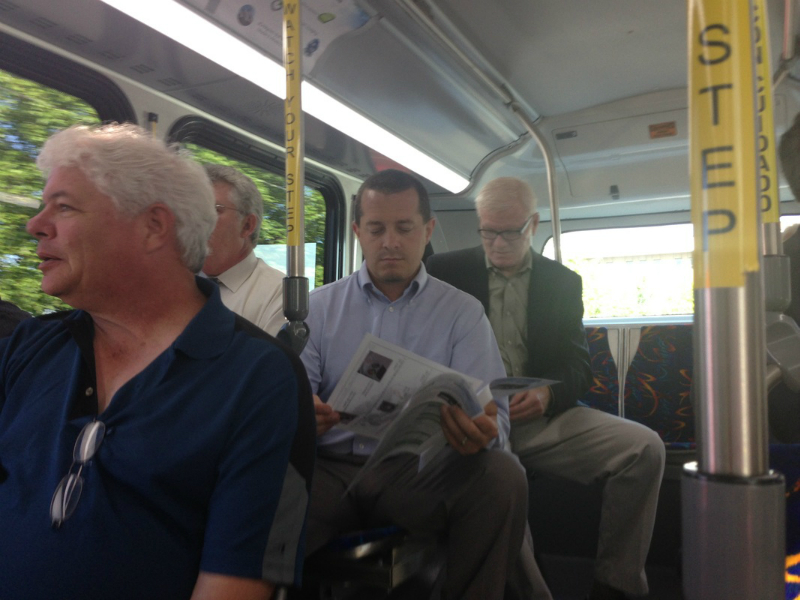 The Congressman and others first took a ride on the bus. 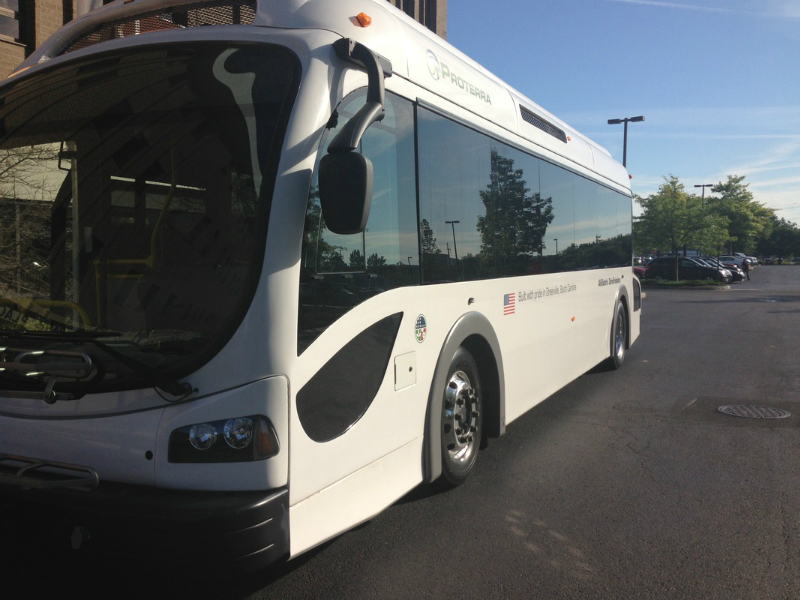 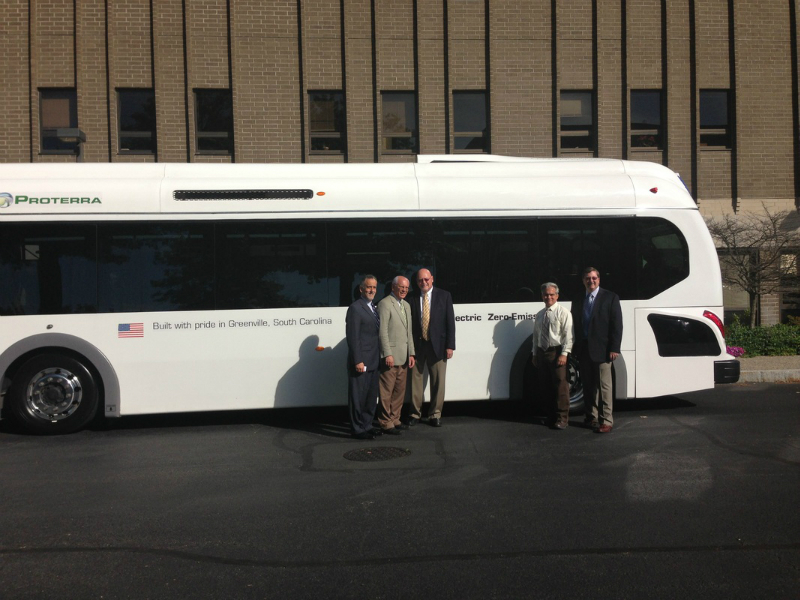 Then, Dale and Mike gave a presentation about Proterra, their all-electric bus and their facilities in Greenville, SC. 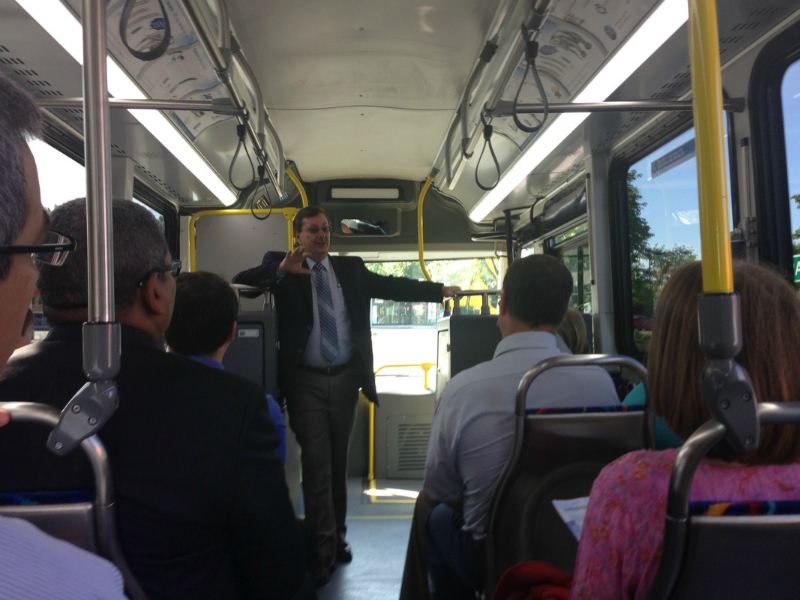 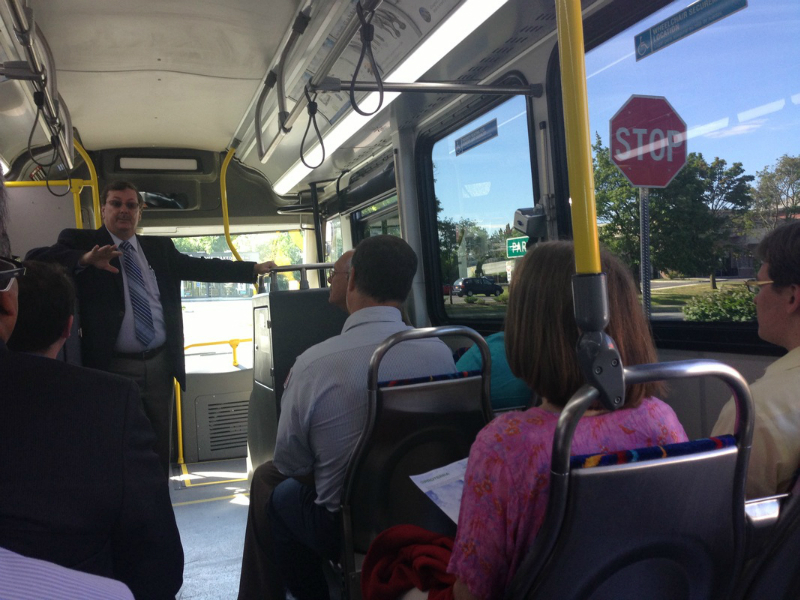 The audience had several questions about the bus, its technology and its low impact on the environment. 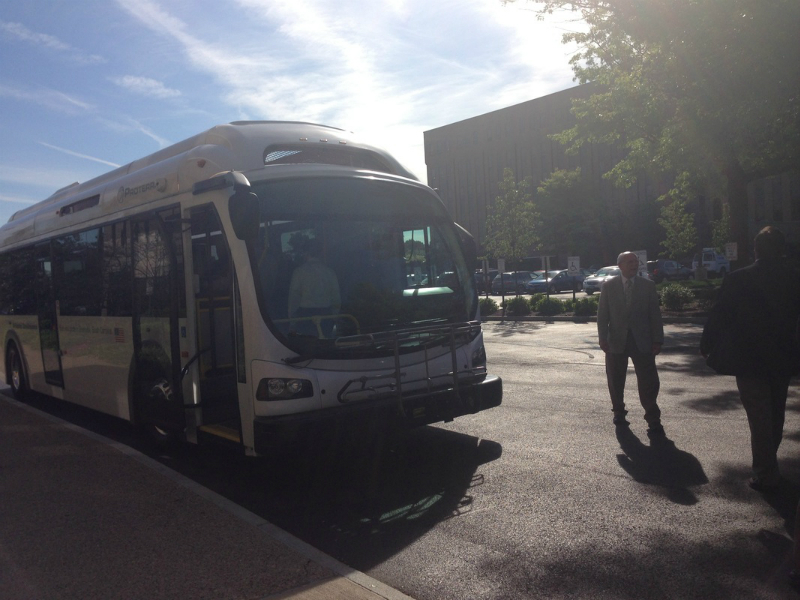 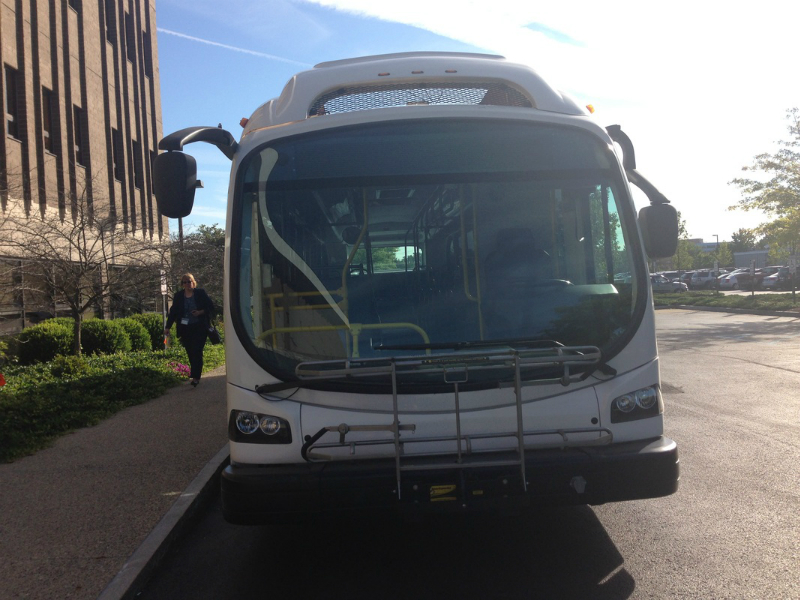 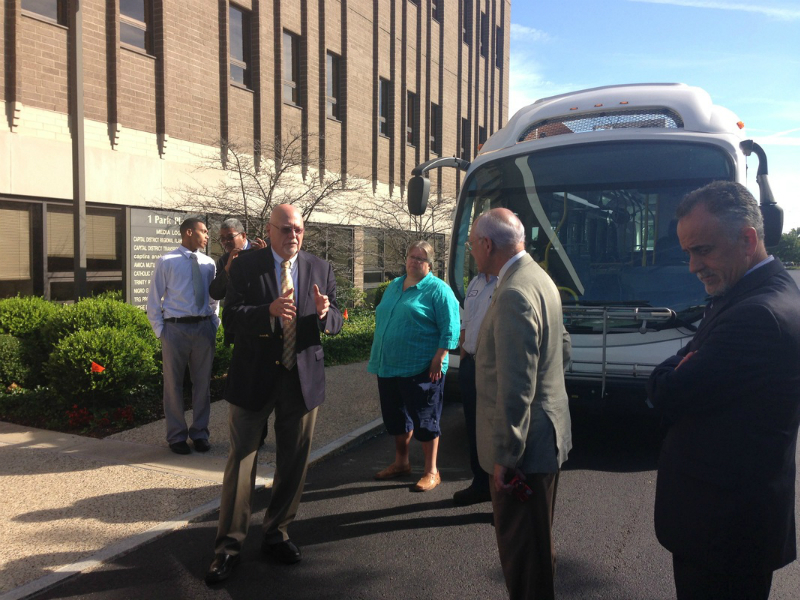 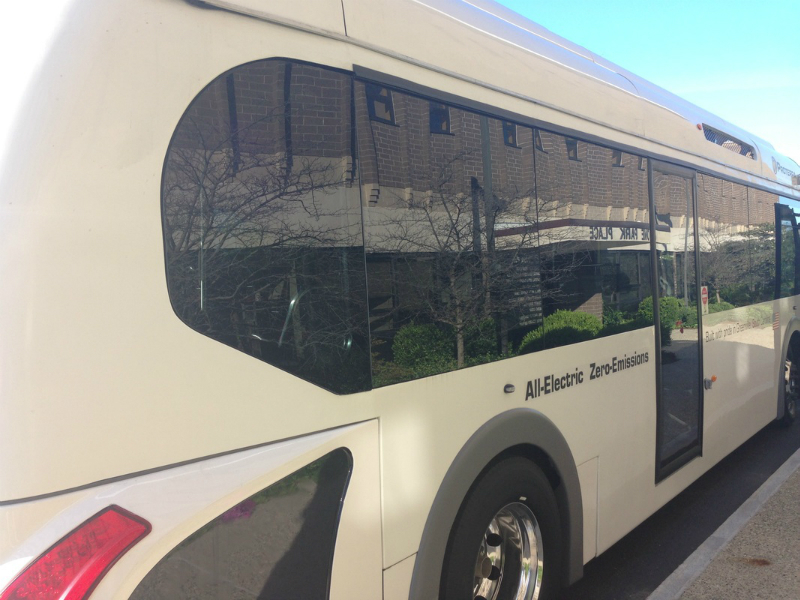 Proterra is currently touring the country with their bus and Albany was just one of their stops. 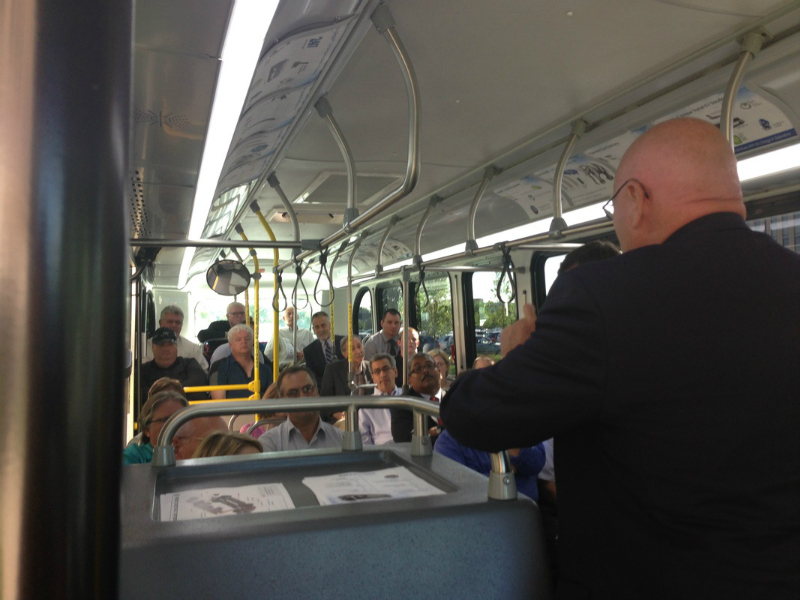 Thank you to everyone who came! 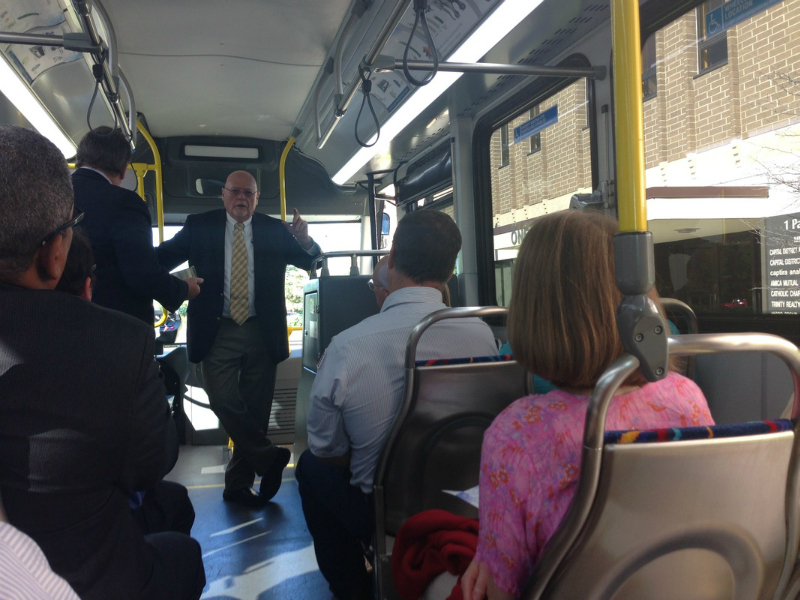 For those who could not make it, you can view a picture slideshow here. 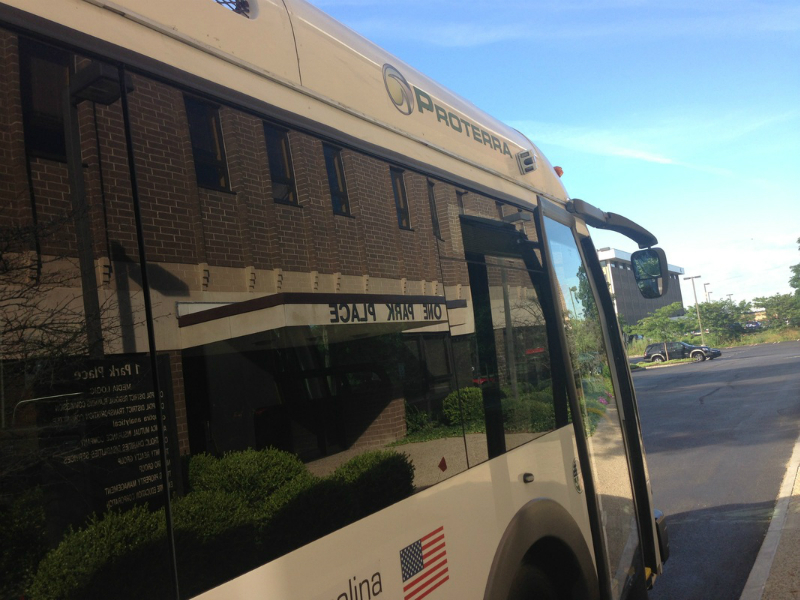 Proterra was founded by Dale Hill in 2004 with a vision to design and manufacture world-leading, advanced technology heavy-duty vehicles powered solely by clean domestic fuels. 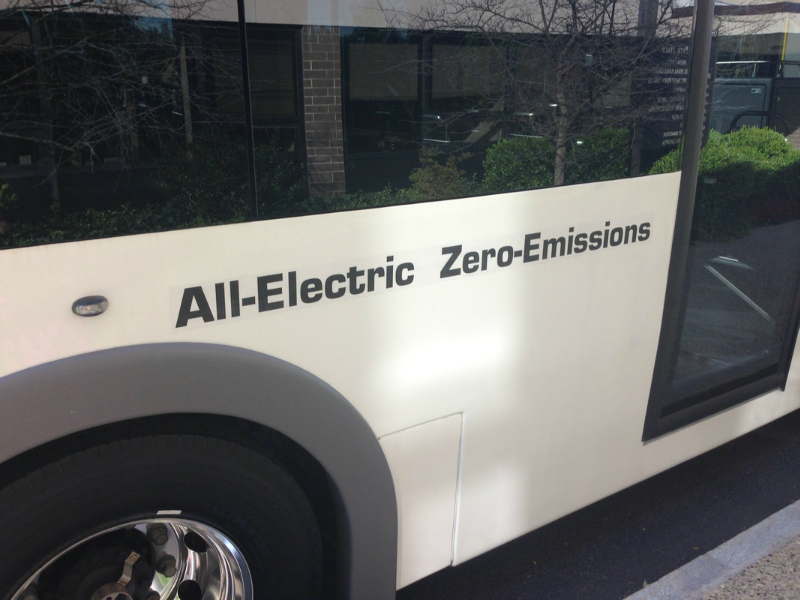 After launching the first and most successful fleet of alternative fuel buses in the 1990s (the 16th Street Mall buses in Denver, CO, that are still running today), Hill formed Proterra to develop and deliver the “bus of tomorrow” to meet a need expressed by the Federal Transit Administration. 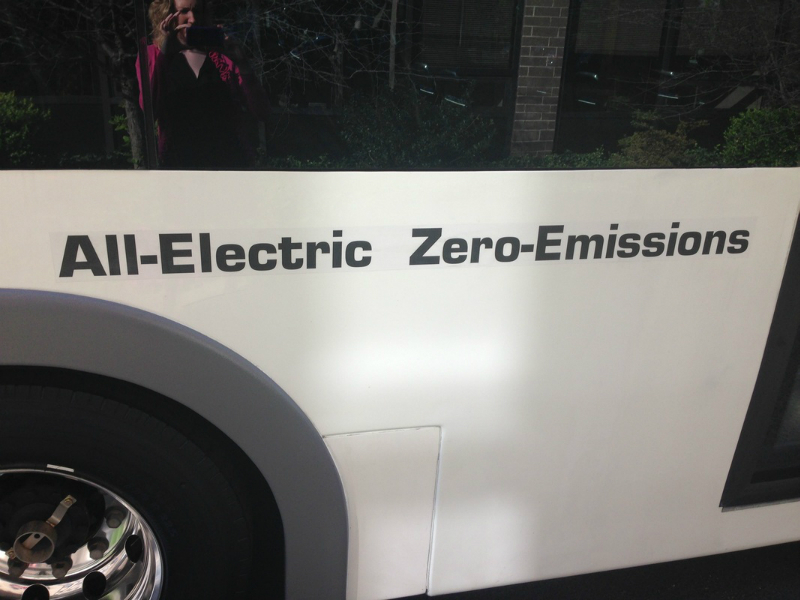 With the launch of our fast charge EcoRide™ BE35 battery electric bus, Proterra has become the leading innovator of zero-emission commercial vehicle solutions. 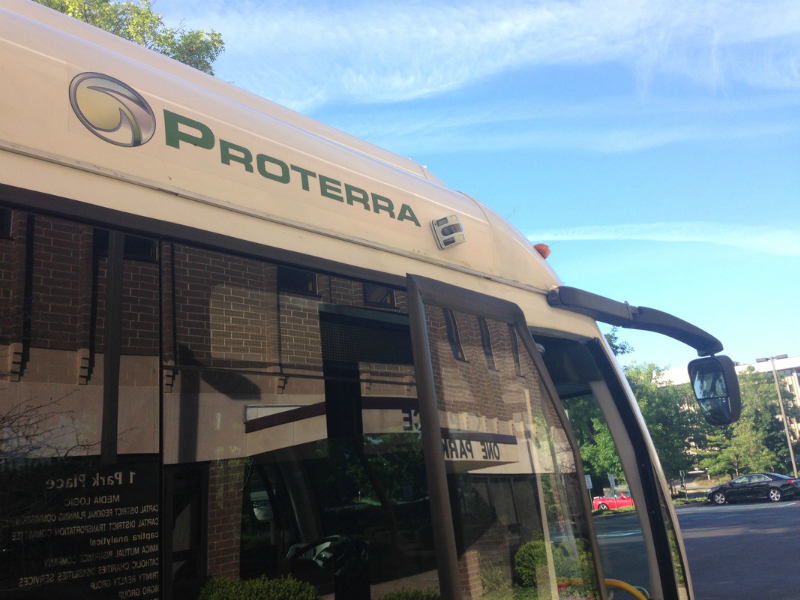 Visit their website: http://www.proterra.com/.